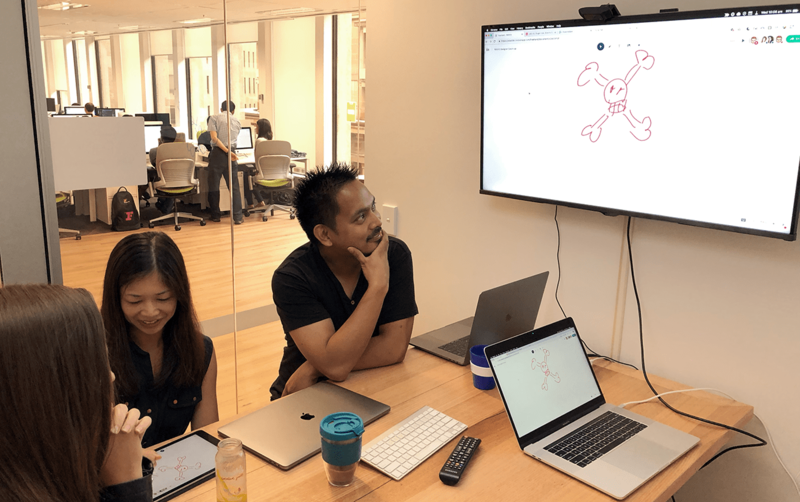 Recently, I’ve been running a game of Pictionary, before our designer catch-up meetings, to break the ice and get the creative juices flowing. You only need a few things to run one yourself, with both local and remote team members alike. Pick team members of 2 at random. Share & display the whiteboard using the screen sharing/meeting app. Get team member ready, with canvas centered. Hit Generate on the whiteboard generator & privately show drawer the word/phrase. Record the time remaining, when guesser correctly guesses. This is their score. Repeat for each team of 2.